I have a couple of extra shows for you this year, and stay tuned for big stuff in 2016! 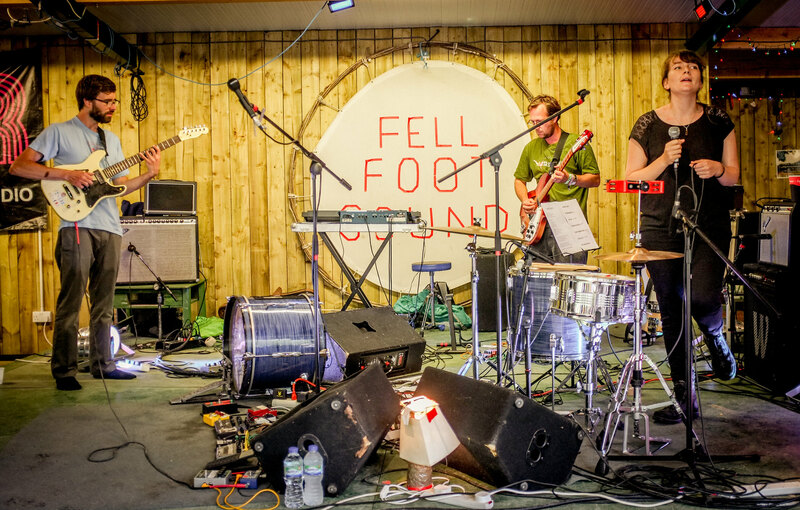 …Live Single from last year’s Fell Foot Sound out now + Upcoming UK Tour Dates! At least year’s Fell Foot Sound festival, I joined forces with the previous players of the “Sonic Cauldron” concert for a second time. Here, myself, Katie Harkin (Sky Larkin, Sleater-Kinney, Wild Beasts), Tom Evans (Vessels) & Jenna Isherwood (Invisible Cities) played a set of new and old Juffage songs, including “Stop Making Music”. Originally from 2011’s Semicircle, this radically different version is the only time this song has been played as part of a group. The single is now available to stream and buy from the Juffage Bandcamp page. In other news, I’m heading out for another UK Tour beginning in August. 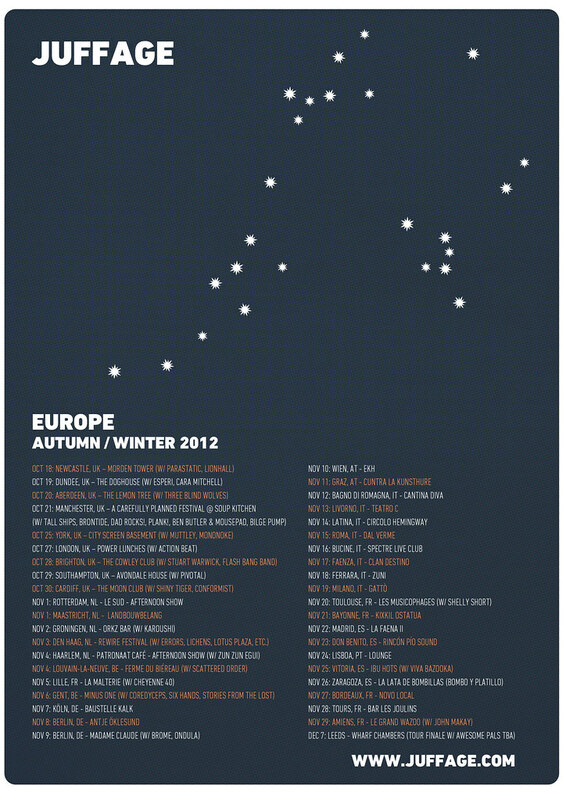 Joan of Arc’s EU tour has been cancelled, so, sadly is this show on the 18th. All other solo shows remain unaffected and are going ahead as scheduled! …finally revealed. 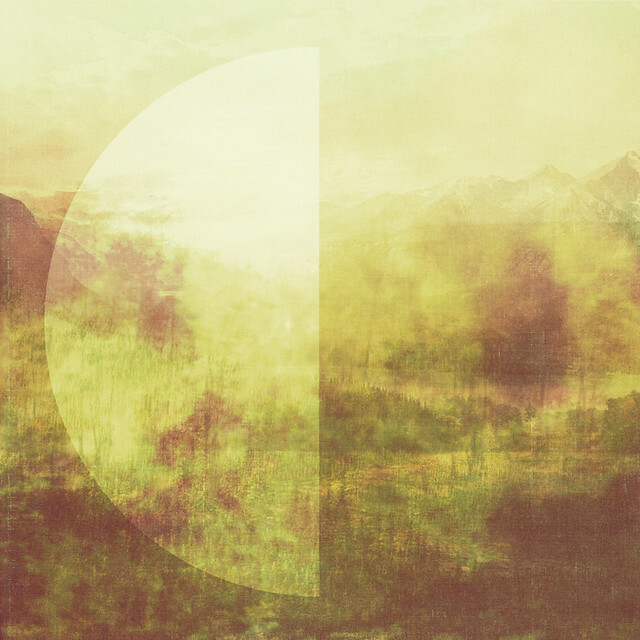 Plus a new surprise Invisible Cities album! I’m doing some gigs this summer around ArcTanGent Festival, playing new songs from my forthcoming record. Keep your eyes peeled for a few more additions, and get in touch if you think I should be coming to your hometown. In other news, I joined the band Invisible Cities for a month to help them make a record before they split up for good. We recorded the whole thing at Greenmount Studios in ONE DAY, and it should be headed your way soon! Ok, things are happening. First, I’ve been locked in Greenmount Studios mixing the final chunks of the new record. There’s lots to talk about, but I really want this thing to speak for itself. Let’s just say it’s more diverse than Semicircle, yet somehow simultaneously places greater emphasis on both dense drone and bulletproof pop songs. 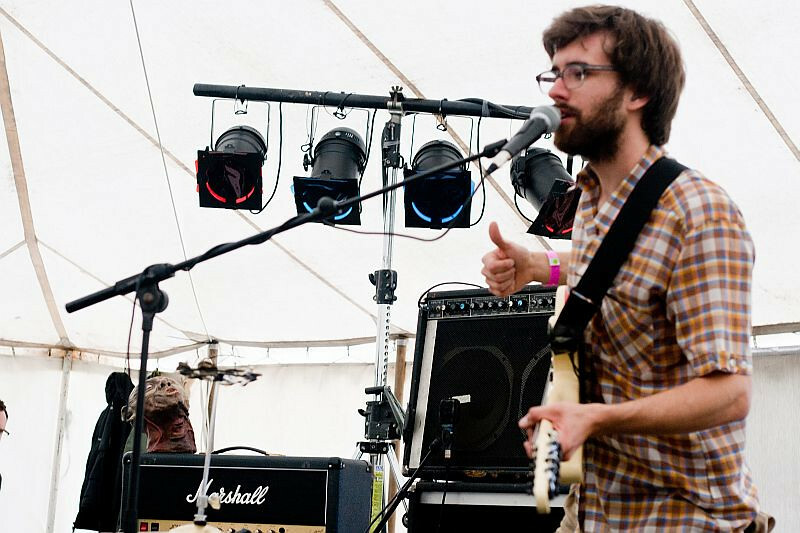 Speaking of Semicircle, the record was recenty feaured in a Guardian list for the “101 Strangest Records on Spotify”, mentioning “hot, crunchy blood”, and “heavywight tape-manipulating chop-n-pop”. Click here to read the full review. 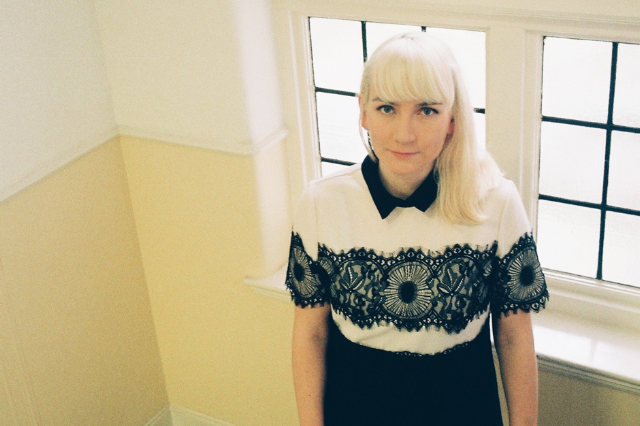 Next, check out Katie Harkin (who is playing/singing all over my new record) talking about her recent months touring with Sleater-Kinney in SPIN Magazine, and casually namedropping said forthcoming record. Finaly, I’ve also been asked to play this years fantastic ArcTanGent Festival. This is going to be off the chain, people! Recording, writing, recording, another festive mixtape, etc. P.S. – CLICK HERE FOR A FREE DOWNLOAD, until it breaks. And apologies about the Zippyshare link. If there’s an easy, free way to share big files on the internet, I’ve yet to figure it out. If you’re so inclined, you can take these files and record them onto both sides of a C90 Cassette tape. Awesome free gift idea! P.P.S. – While we’re on the subject of gifts, there’s only 11 copies of Semicircle vinyls left in the JUFFAGE WEBSTORE. There’s still a few more exciting things to be announced during this period. In the meantime, if you’d like me to play a show, get in touch. NEW VIDEO + SINGLE OUT TODAY! WOAH. In celebration of the one-year anniversary of my “Sonic Cauldron” concert at Left Bank Leeds, I’m proud to finally release this into the wild. Here, for your enjoyment, are the first two tracks from the concert, available on YouTube and the Juffage Bandcamp page. Please share, download, and enjoy. Cheers! Yikes! 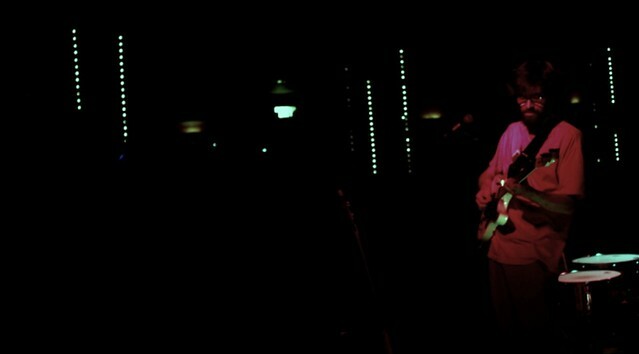 This was one of my favourite gigs from my last enormo-tour, and I sure am glad to see some videos of it finally exist. Filmed by classic cameraman Max-Louis Raugel, here is a full set live from Arena, Wien, AT. After taking (essentially) a year and a half off playing gigs, I’m finally back at it this spring. Click on the gigs (where applicable) to view the Facebook events. It’s gonna be a megaparty. In celebration of some upcoming gigs and festivals in April & May (to be announced soon! 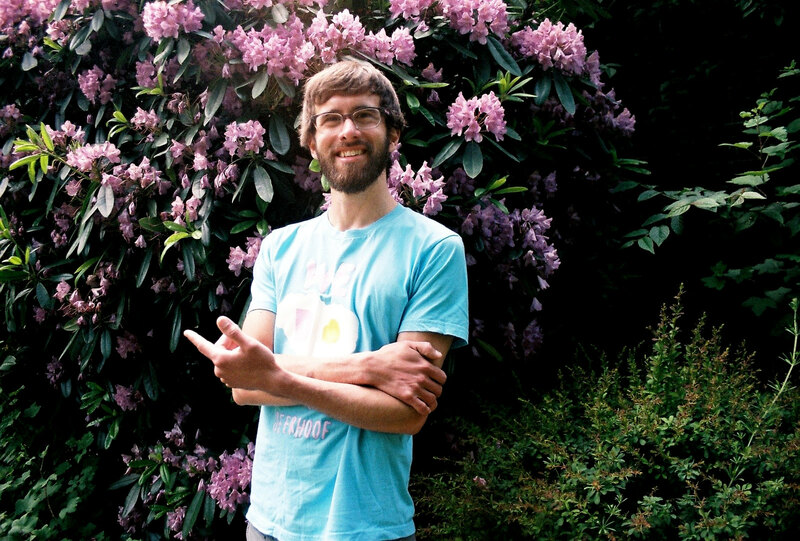 ), I’m debuting a few brand new live videos, with an INSANELY good treat at the end. All throughout the the rest of March and April, check back to this page each Friday and another NEW live video will greet your face. Stay tuned! Click here to download the entire mix as a .zip file. In other news, this year has been extremely productive. Even though you may not have noticed, as I have been taking a break from playing shows, I’m currently putting the finishing touches on writing a load of new songs for an upcoming album**. Some of you may have heard versions of a few of these songs if you came to my Sonic Cauldron concert at Left Bank Leeds this past April. I was so pleased to see so many people out that night and to have the opportunity to play alongside some of my favourite fellow Leeds musicians. Now to get it on wax, my new year’s resolution. If you scroll down to the next post, you’ll also see I released a few live performance videos this year that I’m pretty proud of. Have a look, and keep your eye out on Tweets and Facebooks early next year because I haven’t yet released them all into the wild. If you sign up for the mailing list to (to the right), you’ll be the first to know about it! If you like this stuff, support these musicians; go to their shows, buy their records and keep on living. * the download link on the LMS page is old an broken, but you can attempt to download it here. ** sometimes this stuff takes a little while when you’re only one guy and not a band with an army of publicists. *** In a completely unrelated note, I also wrote about some beers I drank and enjoyed in 2013. 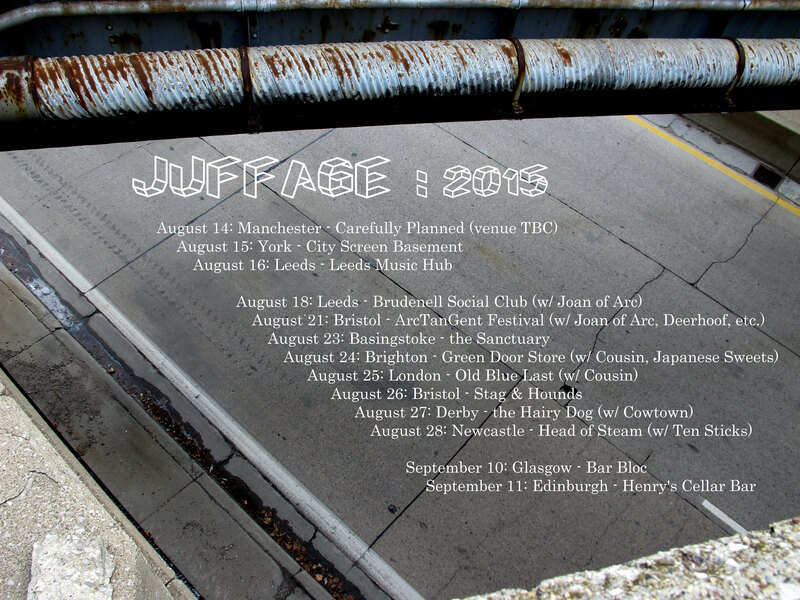 Here are the next few live Juffage videos being released this month. First, from the same Attic Addict session at La Malterie in Lille, is the track “HHV”. Also, a new song “Fate’s Gone Away”, live in Don Benito, Spain, at the Rincón Pio Sound. Stay tuned for more videos in this series, filmed by traveling camera-operator Max-Louis Raugel. A MONTH OF NEW VIDEOS! Well, well well. Here we have the highest-quality Juffage videos to ever hit the world wide web. Over the next month, I will be debuting a new live video each Friday afternoon. To keep up with this gradual unraveling of information, head over to the Juffage Facebook & Twitter pages. Make sure to give them a ‘like’ or a ‘follow’, and all will be revealed. Above is the first video, Live at La Malterie in Lille, France. Thanks to Attic Addict for filming! Stay tuned! 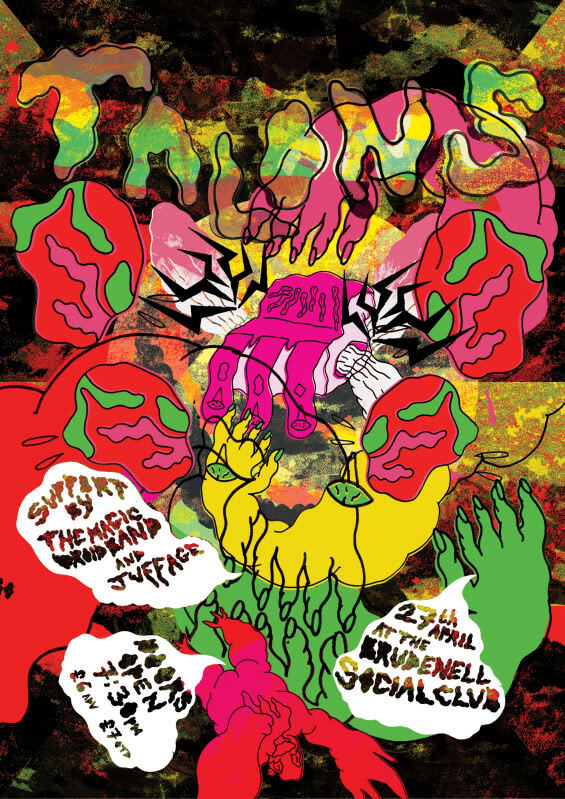 Poster by Adam Nodwell. Click to view it big-style. Hello, everybody! 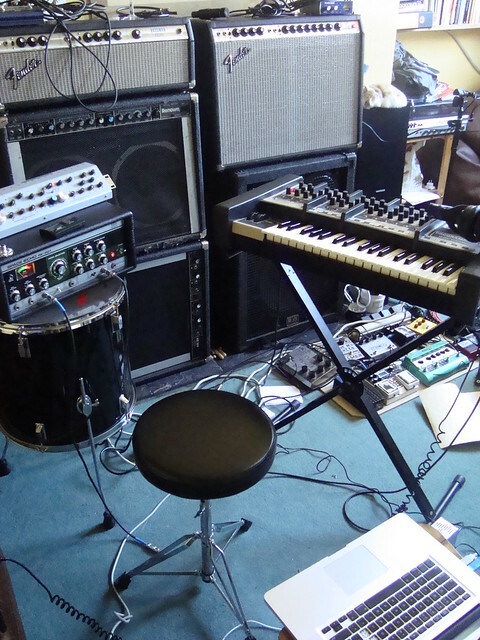 I’ve been very busy working on new material since returning from my tour in December. I will play many of these new songs live for the first time at Left Bank Leeds on April 26th, my only concert of 2013. These one-off interpretations will be performed with fellow Leeds musicians, including Katie Harkin (Sky Larkin & Wild Beasts) and Tom Evans (Vessels). 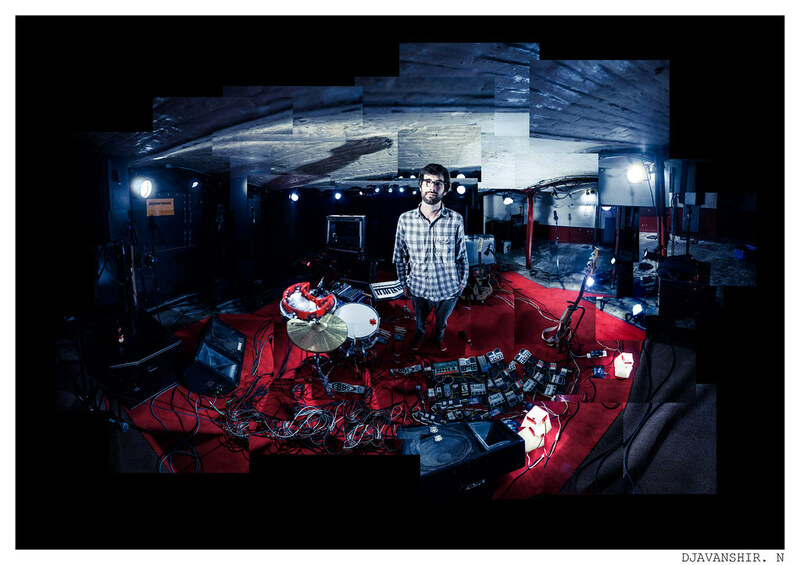 Surrounding the audience with an array of loudspeakers, guitar and bass amplifiers, ghettoblasters, and Leslie speaker cabinets, the cavernous space of Left Bank will become an instrument in its own right. I’m very excited about this, to say the least. Tickets are currently available online from Jumbo, Crash, and in person at the Brudenell for just £5 in advance. Click on the links to buy now! Woohoo!!! Also, there is a Facebook event here. Please feel free to share and spread the word. Hope to see you soon!!! What a year! 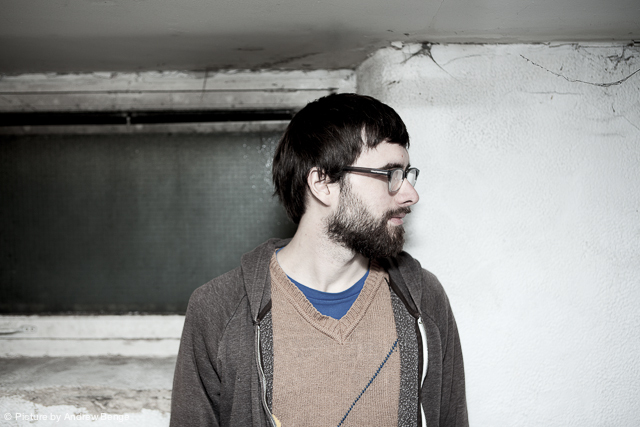 I’ve played loads of great shows, amazing festivals, and just finished up a huge UK/EU tour. Thanks to all the incredible people that helped make it happen, and to everyone who came out to a show along the way. Hope you were able to make it to one. I couldn’t have done it alone, even though I’m alone (if you know what I mean). Gratitude! I’m now trying to track down any photos, videos, or reviews from any of my shows from this year. If you filmed, photographed, or reviewed anything, please send me an email and let me know! And please keep your eyes on this page, as there will be some new live videos popping up very shortly. Thanks a bunch! Finally, I have returned from tour with very few vinyl. If you still haven’t picked up a copy of Semicircle and would like one, head over to the Juffage Webstore ASAP. They won’t last long! I’m taking a break from doing any shows for a while to work on recording another album. I will, however, do ONE show this year in Leeds, at the fabulous Left Bank. I’m composing a special one-off ambisonic performance utilizing the enormous space of Left Bank, and way too many speakers and amplifiers to fill it. There will be some very exciting supports announced soon, whom I’m not allowed to mention yet. But rest assured, it’s going to be exciting. Hey internetters! My 2nd monster tour of the UK & Europe starts today in Newcastle, with 39 more exciting shows to follow. This will be my last tour for a very long time, and my last tour ever using my current equipment set-up, so don’t miss out! When I return, I’m going to start recording a follow-up to Semicircle, and reworking/tweaking some technical and performative elements of my live set. The future looks exciting. Get ready. Have a look below or check out the gigs page the to see all the dates. See you soon!!! Hope to see you out there people!!! It’s going to be great! I’m so excited about my upcoming European tour, I think I’ll just do this post in reverse chronological order. First things first. Last week, I just started booking another tour of Europe for November 1-30. I plan to return to quite a few places I played last year, but am always open to new experiences/ideas. 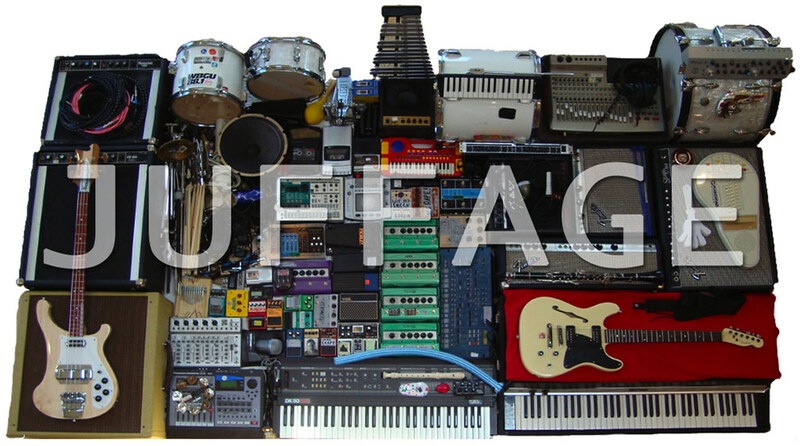 If you are interested in having a Juffage concert in your city, please send an email to juffage [at] gmail [dot] com and hopefully we can work something out! 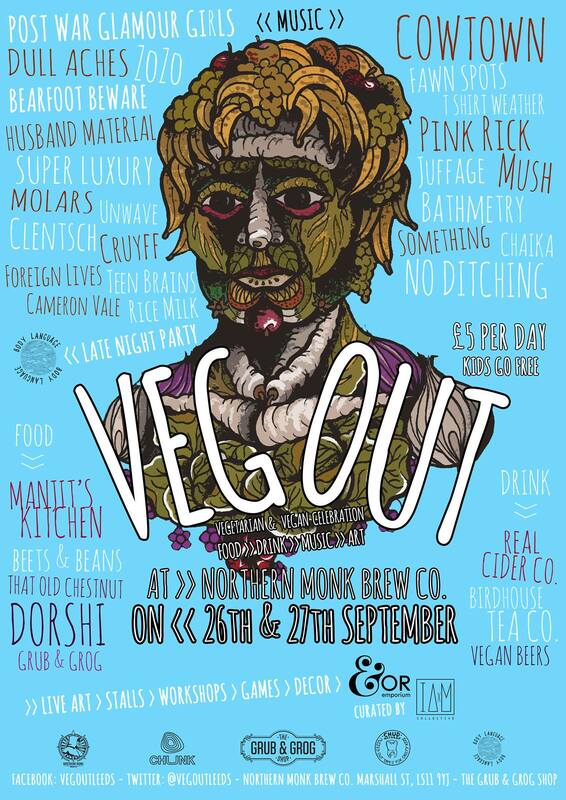 Next up, in August I’m playing this tasty shindig in the Yorkshire dales alongside tons of other great artists (I’m particularly excited about seeing Toots & the Maytals, Wild Beasts, Runners, and checking out the Noisey/Vice stage curated by Dirty Otter and Sexbeat!). 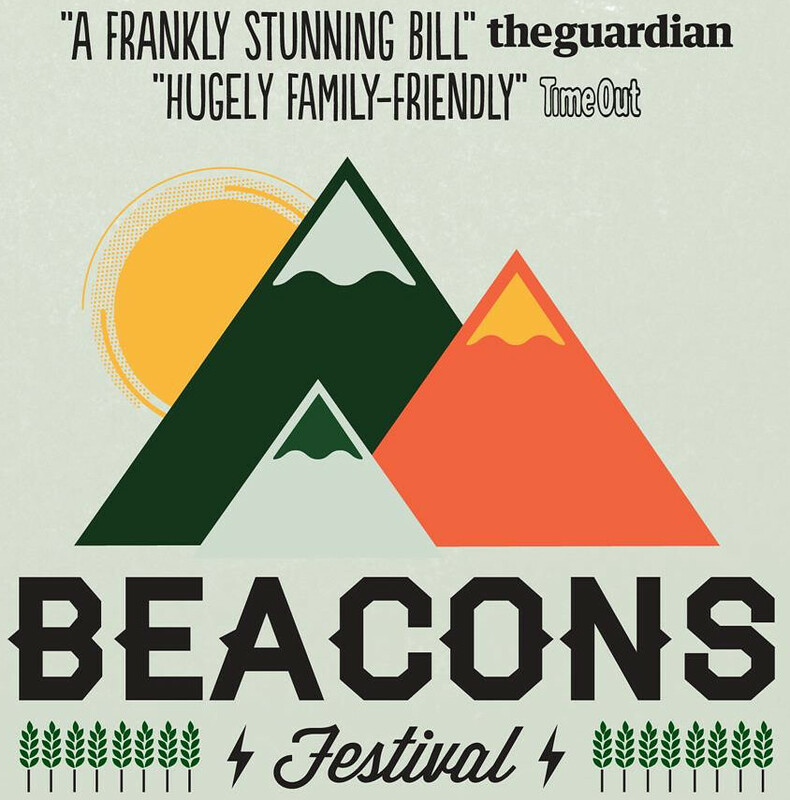 If you’d like some more info, check out the Beacons Festival Website. I have a couple festivals lined up for July too. 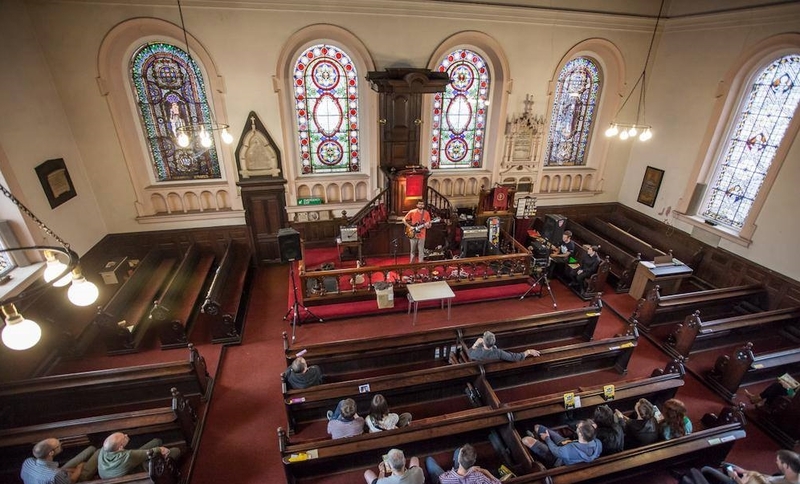 Firstly, I’m going back to Sheffield for Tramlines Festival on Friday, July 20th, where I’ll be performing at the Cathedral Church of St Peter & St Paul (alongside Leeds-based bro’s Heart Ships, & lots more). The following day, I’m heading up to Newcastle to play Narc. Fest (part of the Ouseburn Festival & hosted by Narc. Magazine). More info about the event can be found at the Narc. Fest Facebook Page or Leave Me Here Gigs. 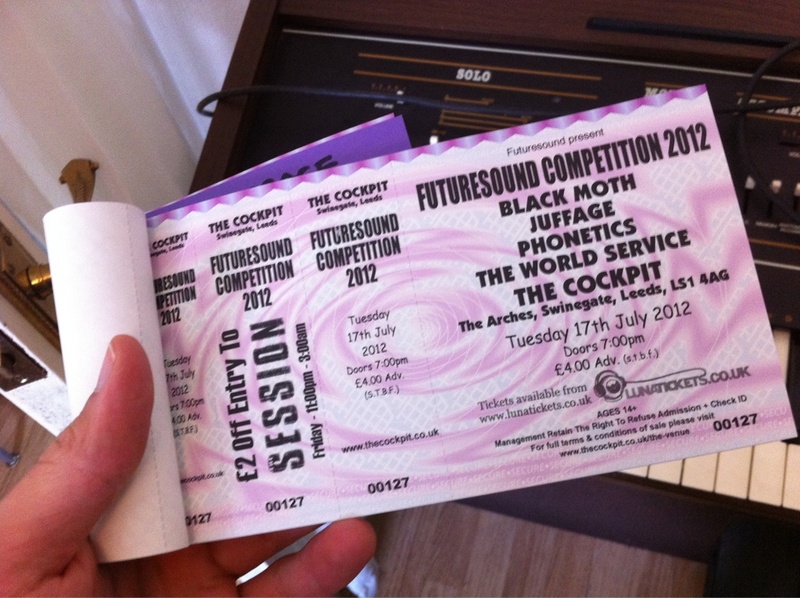 Finally, I’m playing the Futuresound Competition at the Cockpit on Tuesday, July 17th. 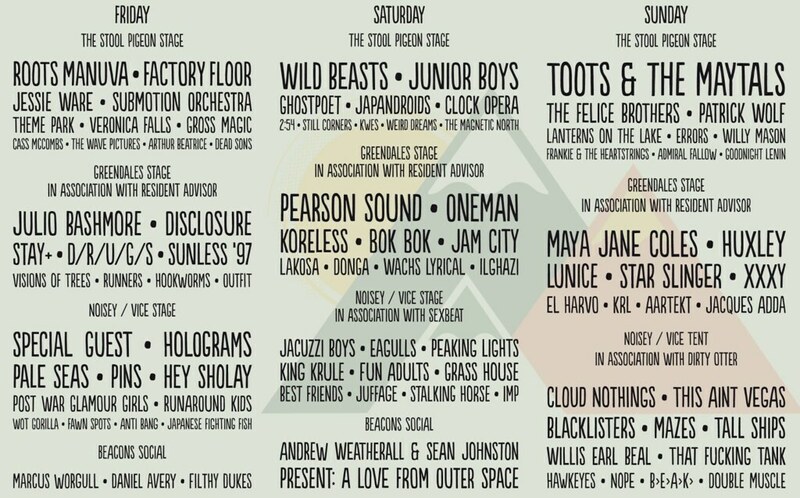 Also appearing that day are the bands Black Moth, Phonetics, and The World Service (full line-up here). 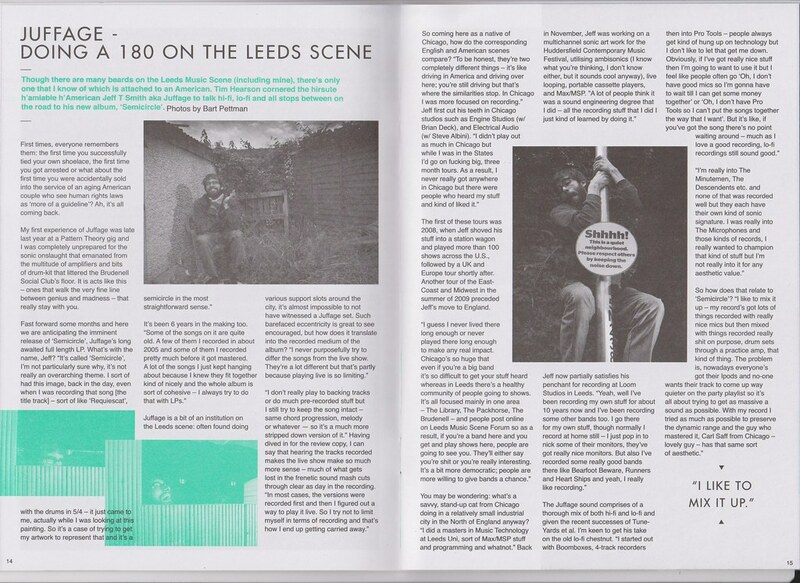 Just today, the gig was recommended by Drowned in Sound on their newest Drowned in Leeds column. 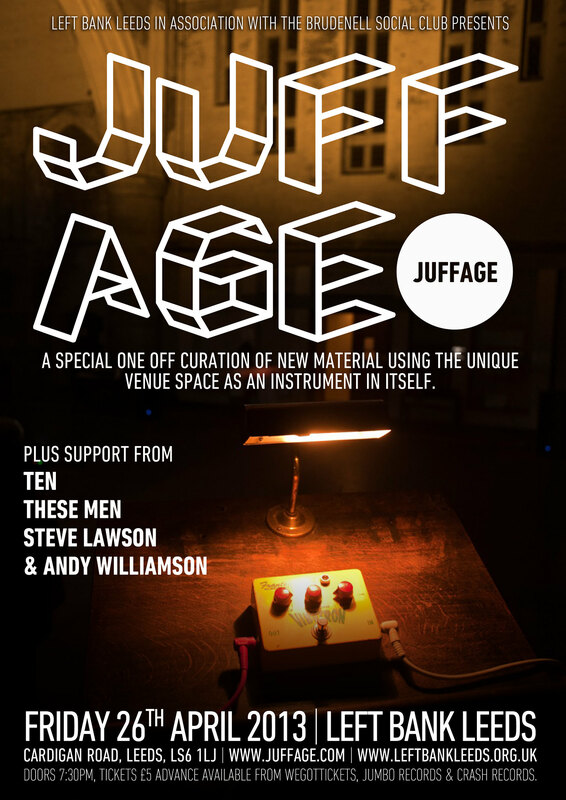 Most importantly, it will be the ONLY Juffage concert in Leeds until mid-October and, if you don’t know the drill, the winners of this competition go on to play Leeds and Reading Festivals this summer. The winners are partially determined by audience vote, so please get down and show your support. 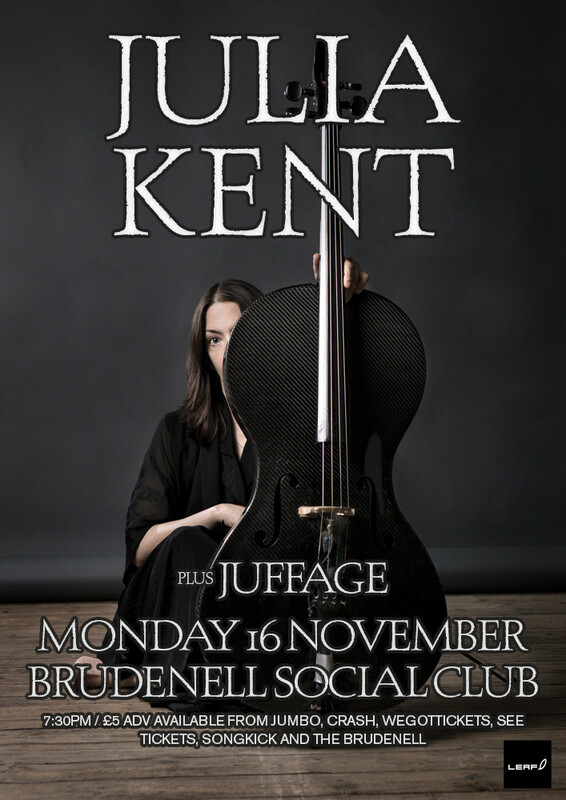 You can buy tickets for the gig on this very website (for only £4), and the tickets include a FREE download of my newest EP, ‘Small Fires’. How cool is that!?!?! For more info, check out the Facebook event here. 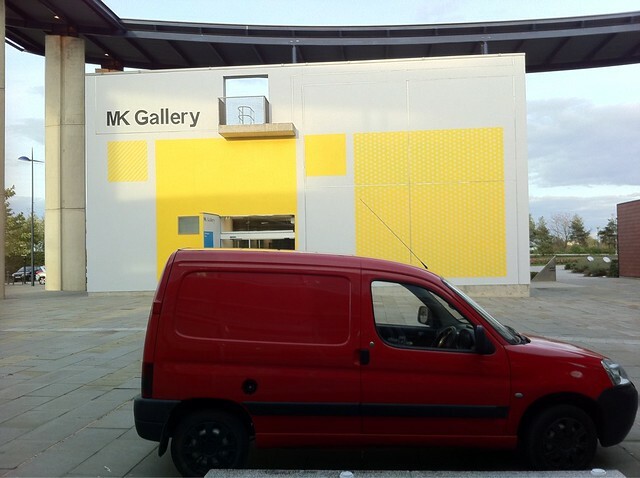 In other news, I completed my recent (enormous) tour of the UK and Europe unscathed, with the exception of a broken van (see below), and had some really great times. Hats off to all the great promoters who put me on, and all the great bands I played with along the way. You know who you are, and are to great in number to mention all of you here. On November 28th, I was on my way to a show in Madrid when my van broke down on the side of the highway. I was hit with an enormous repair bill I was not expecting and had to be towed in to Zaragoza. I sent out a couple of posts on Twitter and Facebook asking fans for donations or that if they bought a record, the money would go towards getting my van fixed. I didn’t expect much, but I thought that even if 2 people donated €5, this would still be better than nothing. However, in less than 48 hours I managed to raise €503.83 through merch sales and donations, only slightly less than I had to spend getting my van fixed. This really is incredible and I am so grateful. Your generosity is truly astounding. Today, ‘little partner’ is back on the road. I cannot begin to thank everyone enough. It’s been an amazing (and long) tour so far, and now I am able to finish my last 6 shows and get back to Leeds with all of my equipment. If anyone reading this has made a donation and would like digital copies of any of my records (or Manduo/MMOOTI!?! releases), please write to juffage [at] gmail [dot] com and let me know. I’m happy to send anything. Also, if you live in Leeds and made a donation, I will happily cook you dinner. Sadly, as a result of this I had to cancel two shows in Madrid (at la Faena II) and in Lisboa (at the Lounge). My sincerest apologies go out to the organizers of these two concerts and the people who were planning to attend. I will come back! Hey people. Today is pretty exciting. My brand-new EP “Small Fires” is set to be released November 7th on Function Records, but you can listen to it online right now! I’m also giving away the single for FREE for a limited time. 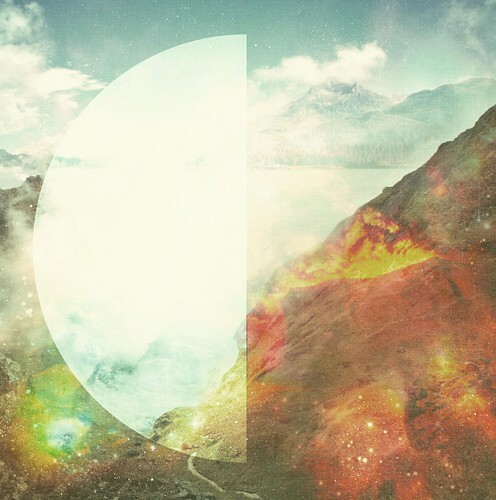 Head over to http://juffage.bandcamp.com/album/small-fires-ep to pick up your free download. DEC 12 – leeds @ the library (w/ monsters build mean robots, catscans, richard parker) – tour finale!!! Want to read more? There’s lots more to read over here. Finally, I’m announcing a boatload of tour dates in the next few days. It’s looking pretty bitchin’ so far! 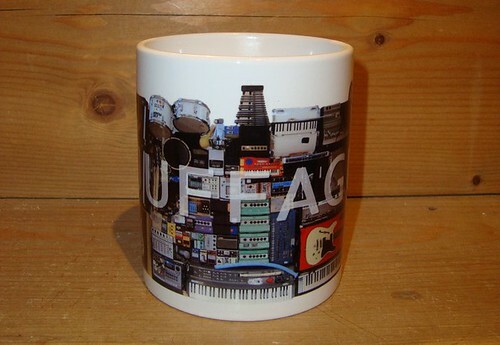 Not convinced you need to own this yet? How about FREE UK shipping to top it off!?! Click to order your copy of ‘Semicircle’ L.P. (+ digital download & remix EP) and get FREE shipping in the UK (or £2 shipping in the rest of the world) before June 13th! …And as if I haven’t had enough of driving around the UK, I’m headed out for a few dates and some festivals over the summer including Doubledotbash!, Tramlines, Beacons, & Leave Me Here Festivals. 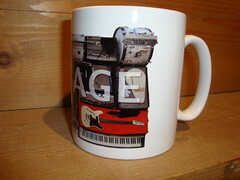 Keep up to date on the Gigs page! Click here to preorder your copy of the ‘Semicircle’ L.P.
Vinyls will be available for purchase on all ‘Semicircle’ Album Launch tour dates. Preorders will be shipped on the official release date, June 6, 2011, and will include a bonus download EP of remixes by Ampersand, 2n3904, RUNNERS, James Yates (the Pattern Theory), Blithe Field, Dream Drunk, & Mako Sica. Digital downloads will also be available from this date but will not include download of the bonus disc. That’s all for now. Hope to see you on the road! I’ll be taking the stage on the opening night, Friday August 12. 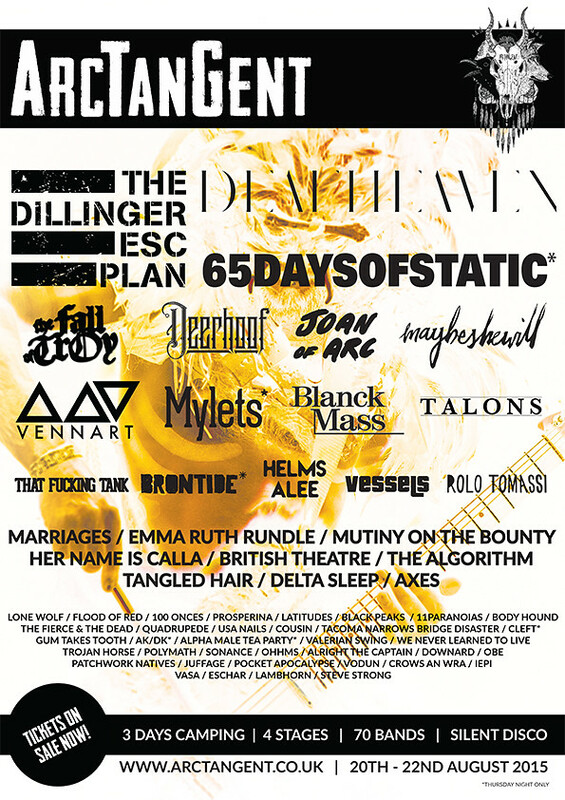 Loads of great bands are playing and with early bird tickets at £50, you can’t really go wrong. 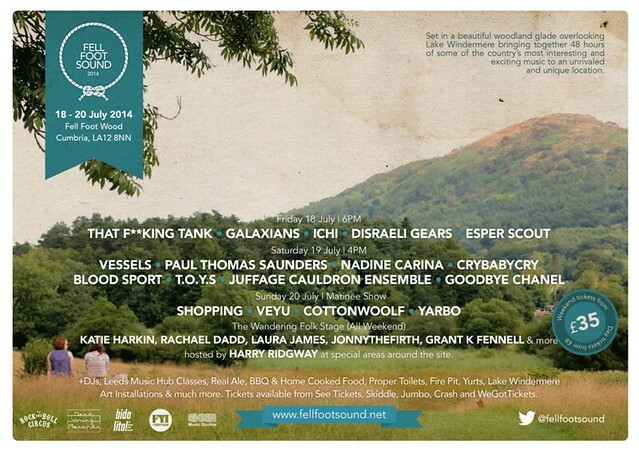 Head on over to the Beacons Festival Website for more information. The next time I post on here, I’ll be revealing the tracklisting and artwork for my new album ‘Semicircle’, along with a bunch of tour dates for the period of May/June. The test pressings should be arriving in just over a week so get ready! 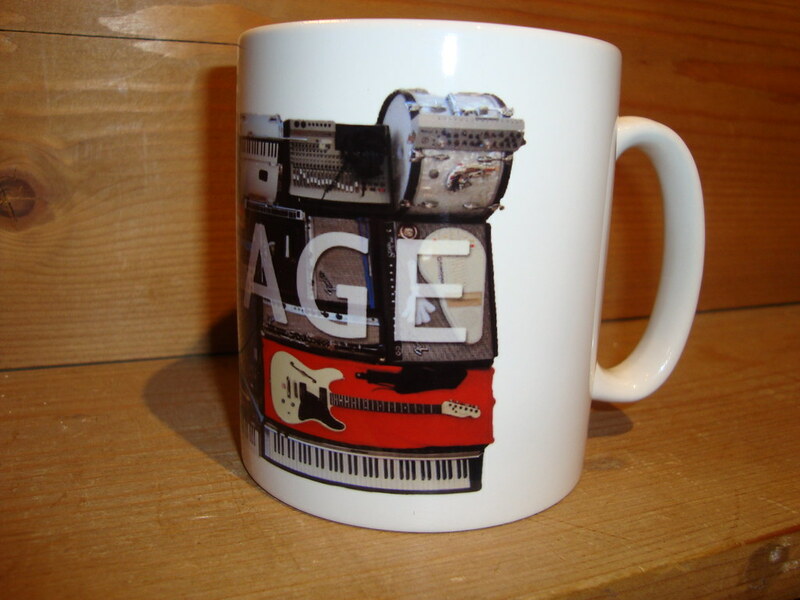 What better way to show your appreciation for the musical stylings of Jeff T. Smith than by ordering your own brand new Juffage Mug?!? Good question! Whether it’s a hot or cold beverage, you’ll be drinking in style with this mug’s spectacular wrap-around design (pictured here), printed in glorious full-color! Invite your friends ’round and impress the pants off them by serving them a tea or coffee in a beverage container with unprecedented style and grace. 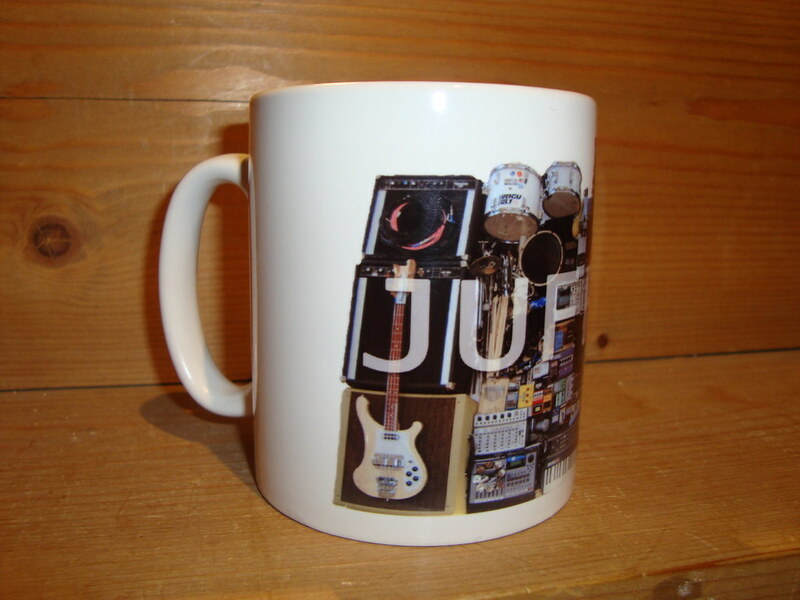 Hi-res photos of mugs available here: Photo 1, Photo 2, Photo 3. Now available from the JUFFAGE WEBSTORE for a mere £8 or at future gigs. Interestingly, this picture above has very little to do with what I did today. 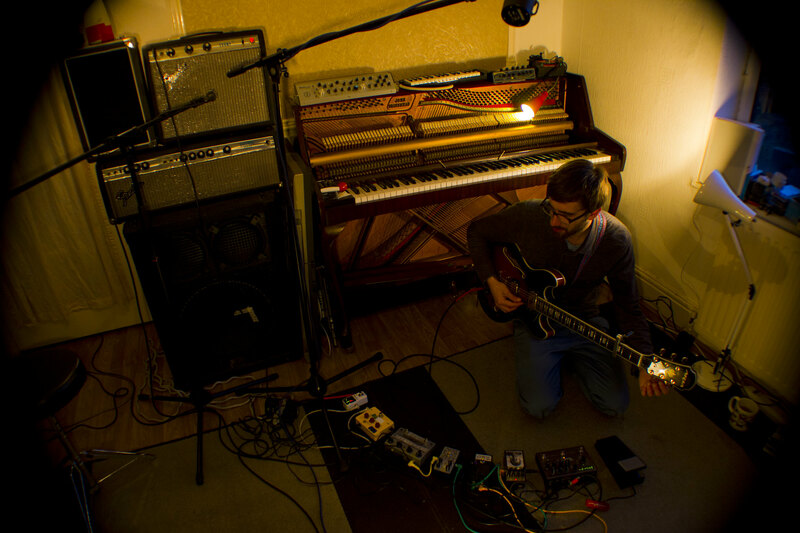 It was taken about four months ago at 63 Lumley Road when I borrowed my friend’s synthesizer to record some parts for a song on my upcoming record. Today, however, I went to use the monitors at Loom Studio to work on mixing that very song. Unfortunately, I somehow managed to break the key off inside the door as soon as I got there and found myself stranded in the hallway. 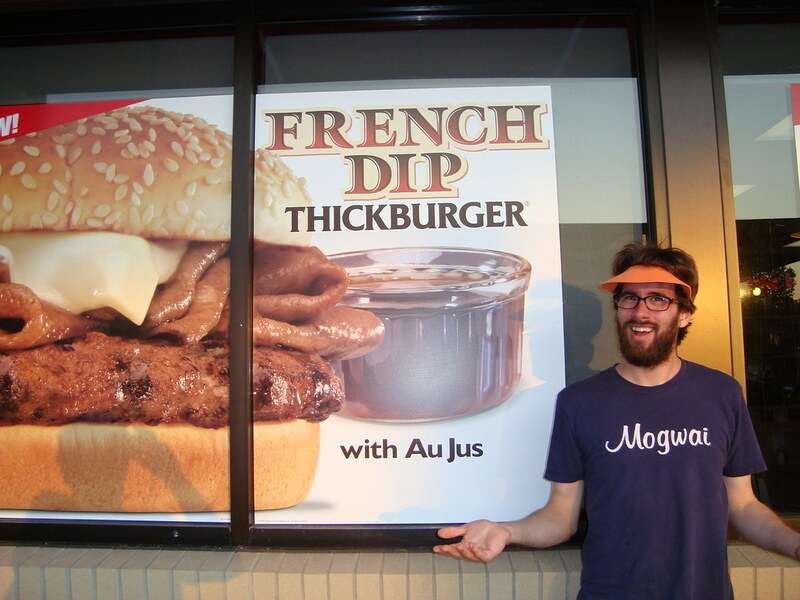 Nevertheless, this incident marks a very momentous time. Once I manage to get inside the studio and finish mixing, the album will be sent for mastering and will be released sometime in May on Function Records. Keep your eyes on this page in the coming months for more news about the upcoming release. I’ll be taking a break from doing shows for the time being (with the exception of the wonderful British Wildlife Festival) to finish preparing for the upcoming release, and to get ready for a large tour to follow. In the meantime, you can check out some brand new live videos here: Horray! 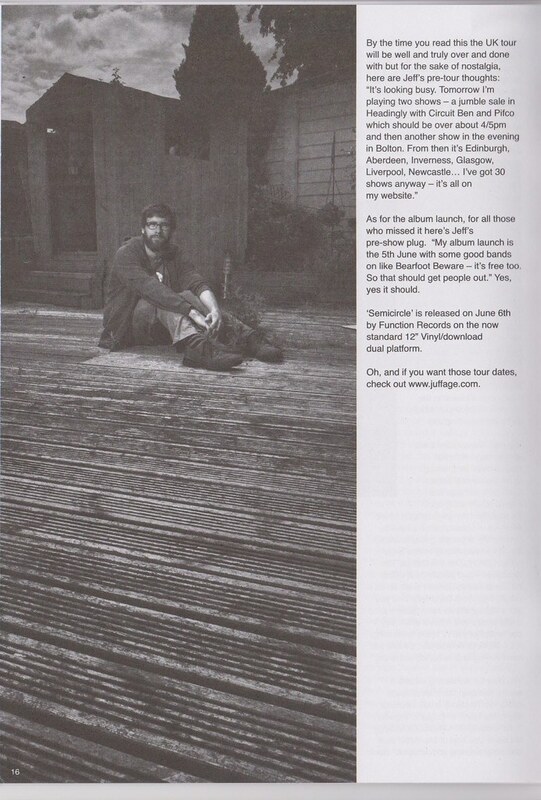 I recently opened up the latest issue of Vibrations Magazine (December 2010) to see a big blue picture of my face. It had somehow completely slipped my mind that I had been interviewed a few months ago at the Brudenell Social Club, right before going to a show for the band Low. You can read the interview by clicking the link below. Absolutely! Welcome to the internet. From here on in, this will be the first port of call for all Juffage-related events, merchandise, and informations until the inevitable date in the future when Google.com will automatically redirect to this website. Thank you very much for you cooperation and valuable time.